Over the past several years, our collective diets have grown unhealthier, and our waistlines have expanded as a result. Doing so, we're putting ourselves at risk for a number of diseases, including type 2 diabetes. 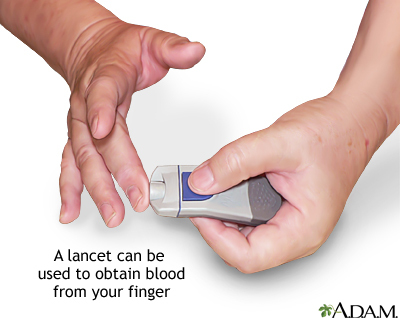 Diabetes is serious stuff, if it's not treated, it can lead to some pretty dangerous complications, including nerve and kidney damage. 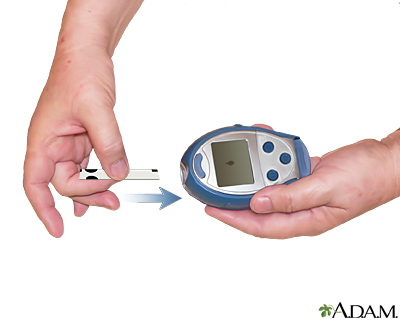 The good news is you can often avoid type 2 diabetes and its complications. 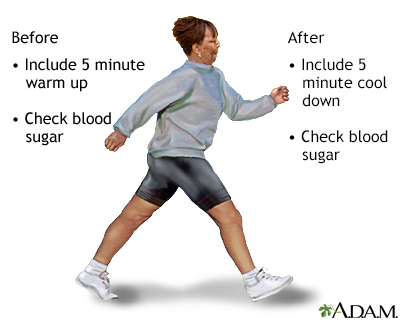 You need sugar, or glucose, to keep your body running. Normally when you eat, your pancreas releases a hormone called insulin, which moves the sugar from food out of your blood and into your cells, where it can either be used for energy, or stored. But if you have type 2 diabetes, this system doesn't work as well as it should, in part because your cells have a harder time responding to insulin. As a result, sugar builds up in your blood. Why is that a problem? Well, that excess sugar can damage organs like your eyes and kidneys, and it can lead to complications like nerve damage and heart disease. Diabetes complications could leave you blind, lead to amputation of your toes or feet, and maybe even kill you. 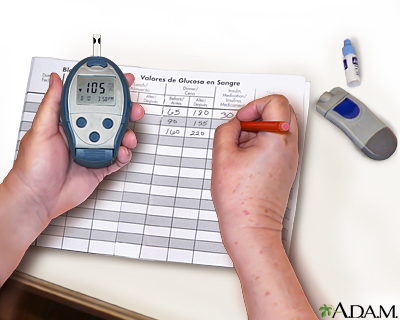 You can help prevent diabetes complications by keeping good control over your blood sugar, but first you need to know that you have type 2 diabetes. Sometimes it can be hard to tell because you may not have any symptoms at first. 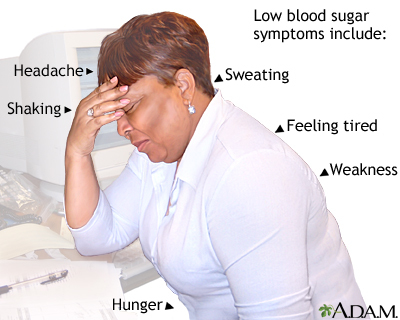 Being very thirsty, tired, or having to go to the bathroom a lot may be pretty good clues that you might have developed diabetes. Blurry vision might also be a clue. Your doctor can confirm it with a blood test. 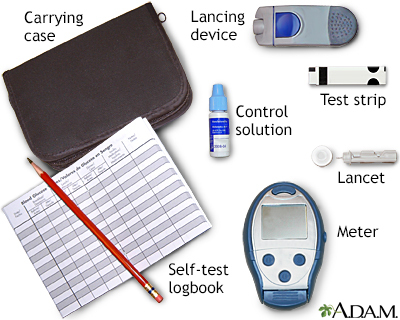 Once you know that you have diabetes, it's your job to keep it under control. You'll need to check your blood sugar at home and talk to your doctor about how to lower it with diet, exercise, and possibly medicine. To avoid serious complications, you'll need to see not just one doctor, but a team of health care professionals. That includes a podiatrist to check your feet, an ophthalmologist to check your eyes, and a dentist for cleanings and exams. Because type 2 diabetes increases your risk for heart disease, you'll also need to see your primary care doctor regularly to have your blood pressure, cholesterol, and triglycerides checked, and to make sure your kidneys are working as well as they should. 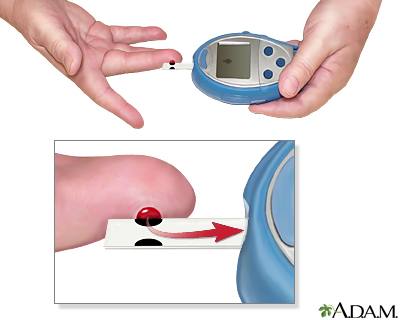 Like any other disease, it's better to avoid getting type 2 diabetes then to have to treat it. If you're at risk because you're overweight or over age 45, ask your doctor for a blood sugar test at your next check-up. If you have already developed diabetes, you can help avoid complications by staying on top of your health, checking your blood sugars, eating a healthy diet, exercising, and seeing all of your specialists on schedule. Make your doctor a partner in your care. Call right away if you have any problems, like numbness or tingling in your legs or feet, blurry vision, extreme thirst, weakness, or fatigue.